Also, apparently Ben Affleck isn’t playing Bruce Wayne. Normally we’d put a spoiler warning somewhere up here… but this theory is so out there, so ludicrous, so completely in depth we simply don’t think it’ll be the case at all. But, it’s so crazy it might just be a thing and we’d never forgive ourselves if we didn’t at least mention it. So, recently the site Total Spoilers posted what could be called an essay about the characters and stories of Batman v Superman: Dawn of Justice. This essay has some pretty radical predictions, which we’re here to look at. So, they think Joseph Gordon Levitt character from The Dark Knight Rises becomes Jerad Leto’s Joker? That is one prediction. Yes. Well, the first part of the theory is that the character’s name, John Robin Blake, is a clue. If you take the first and last two letters of the name you get the word JOKE. The theory then goes on to state that, essentially, John Blake went insane and was twisted into becoming the Joker much like what happened to Tim Drake in Batman Beyond: Return of the Joker. So, does this mean Ben Affleck is his replacement? Yes. They also theorize that Ben Affleck’s actual character isn’t Bruce Wayne, but Deahstroke (aka Slade Wilson), who has taken up the mantle of Batman. They also believe that Jeremy Irons isn’t Alfred, but William Randolph Wintergreen, who is Deathstroke’s butler. So, does this mean Christian Bale’s Bruce Wayne is still out there, as is Michael Kane’s Alfred? If that’s true, shouldn’t they be in the film? 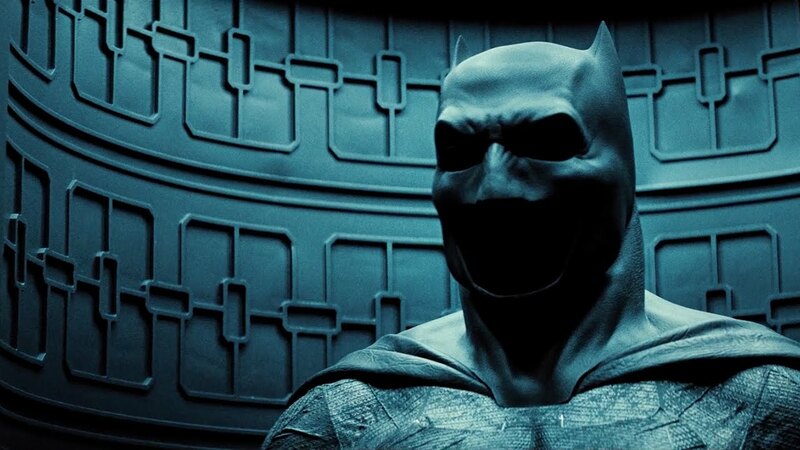 The theory actually states they will come back, citing rumors in 2013 that Christian Bale was offered 50 million dollars to return as Batman for Batman v Superman. The site believes Bale took that offer and will be a special guest appearance in the film. What other evidence is there for all this? Honestly, this article goes into all sorts of other material such as the comics and even Injustice: Gods Among Us, citing that Batman’s line in the trailer (“Do you bleed? You will”) is similar to Deathstroke’s battlecry in the game (“I will make you bleed”). Also, apparently the “V” in Batman V Superman doesn’t stand for “versus” at all, but instead is the Roman numeral for the number 5, letting us know that this film is the fifth in a series started by Nolan’s trilogy. There is one interesting and remotely plausible part of this rumor which actually lines up kind of nicely. We know that in Batman v Superman, Wayne Manor has been long abandoned. At the end of The Dark Knight Rises, it was turned into a home for orphaned children. It’s actually kind of plausible to think that the home didn’t work out and the estate ended up being condemned. Honestly, there’s pages and pages of this stuff. If you want to know more, check out the site. We’ve never actually said this before, but we honestly think there is zero chance of this being a thing. For several reasons. First and foremost, when your movie costs 400 million dollars you want to know it’ll make as much money as possible at the box office. Announcing that Christian Bale’s Bruce Wayne will be in the film would definitely lead to more tickets sold… so we just don’t see them keeping that in the dark. Bale has said on many occasions that he was finished with the role after The Dark Knight Rises. He’s also the type of guy to stick to his artistic guns, which means $50 million wouldn’t sway him since he already has so much money already. Movie marketing is also all about clarity. You want your audience to know exactly what they’re getting. Packing a movie full of so many twists dependent on watching four other films just isn’t good business. That, more than anything else, is the reason why we don’t think this is going to be true. Plus, why make a Batman versus Superman movie if you’re not going to actually have the real Batman in it? Wouldn’t the audience feel a little cheated? Alas, sometimes the fans put more thought into these stories than the actual filmmakers… but we have to admire to tenacity.